By Garett Sloane . Published on May 01, 2017. Facebook has been in the test phase of selling ads through Apple TV, Roku and a lineup of partner apps that populate those so-called over-the-top platforms. But the social network is struggling to sign up more partners, according to a number of people familiar with Facebook's online TV offering. The obstacles for Facebook breaking into digital TV include the fact that many of the studios and networks are reluctant to hand over any bit of their video ad business to the increasingly powerful player. "Facebook has come in to give the ad tech pitch, but at the end of the day they want us to dump our ad tech and back-end system for theirs," said one top media executive, who spoke on condition of anonymity. Facebook said its connected TV -- just like its desktop and mobile ad products -- has been designed to make it easy for apps to plug into it as just another demand source for ads. Also, Facebook decided not to build a traditional ad tech platform that would compete with media partners' existing technology and partnerships. Also, a Facebook rep said the company is not pitching connected TV as a replacement for partners' infrastructure that's already in use. Facebook is reaching for more ad inventory in TV-like settings as a way to keep up with Google, which recently launched YouTube TV, a streamlined internet TV package with stations like ESPN, FX, AMC and other cable channels and networks on board. Facebook has ambitions to compete with Google by getting a broader foothold outside its properties, but has had to rethink its strategy after acquisitions of Live Rail and Atlas did not work as originally planned. For instance, Facebook said it found the open internet drowning in low quality ad inventory when it fired up Live Rail, a video ad server. Last year, companies like Hulu, A&E Networks and Major League Baseball had to go looking for new technology when Facebook shut it down. Since then, Facebook has been putting its efforts toward the Facebook Audience Network, which promises the same ad targeting precision the social network offers on its own site. A&E Networks, for one, was part of the beta program to open ad inventory in its app and websites to the audience network, and has been a steadfast partner when it comes to trying out the new technology. A&E Networks declined comment for this story. However, one person familiar with the tests said it has been going well, and even expanding. More A&E properties like History channel and FYI now show Facebook ads through the tests. A Facebook rep said the company declined to comment beyond what it said since August. 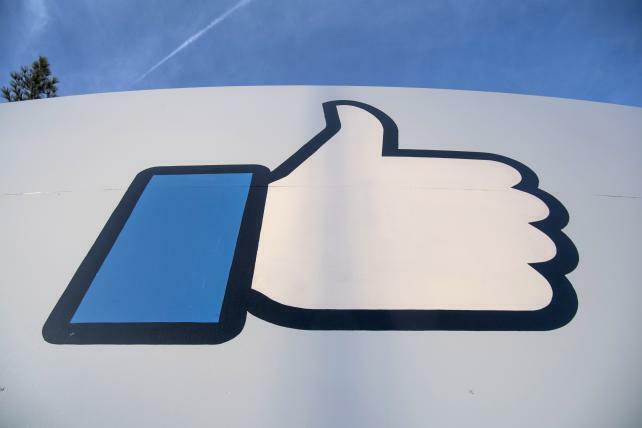 "We are testing how to best deliver video ads through Audience Network to people watching content on connected TVs," the Facebook spokesman said. "Our goal is to bring relevant ad experiences to people both on Facebook and off." It's always an obstacle convincing publishers and digital media properties to overhaul their ad tech pipes after they already invested in their own systems. Facebook has an even harder time because of its dominance in online ads and its tight control of its audience network. Advertisers can choose categories of content but not specific publishers or media properties to run on. And publishers can select categories of sponsors but not specific advertisers. Of course, the media partners can also see advertisers connected to their content when it runs. Facebook has said that's to the benefit of media partners, so advertisers don't go looking to buy ads on their properties through Facebook, and they keep their direct relationships. It's unclear how that process changes in the over-the-top TV program, but partners are pushing for as much control over their inventory as possible, according to a person familiar with the concerns. It's a crucial time in the connected TV space, and Facebook could be up against a clock to offer a more developed product. Many companies like Turner, Viacom and Hulu are building their own ad technology to serve ads across platforms and screens. "Facebook is another one of those companies you don't want to be more beholden to than you have to," said an executive from a competing ad tech company.